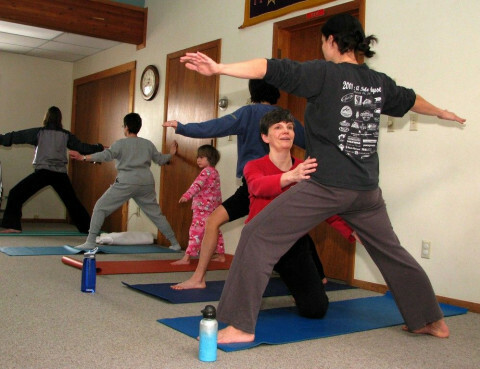 Click/tap here to find the best Montana yoga instructor for your needs! Cassandra invites everyone to try yoga and to listen and learn from their own bodies! Yoga classes and practices for all! Public, private, therapeutic, and more. I am an E-500 Teacher who has been practicing Yoga for over 20 years and teaching for more than 10 years. Please call me for additional details. We offer a full schedule of public classes suitable for any level of practice. Private one-on-one classes or small group classes upon request. Therapeutic yoga sessions available to help you heal through yoga. We offer Bikram Hot yoga. It is 26 postures and 2 breathing exercises done in a hot room. The classes are 90 minutes. Beginners are always welcome in every class. Open seven days a week - we offer 26 classes a week. Our big windows fill the space with natural light that reflects off our beautiful wooden floors. We offer drop in classes including: Intro to Yoga, Vinyasa Flow, Sivananda, Anusara Inspired.